Incidence of heart disease in Tennessee men declined in the decade between 2005 and 2015, according to the new Tennessee Men’s Health Report Card. Although it remains the top killer of men in the state, heart disease declined as the leading cause of death from 96.5 per 100,000 men in 2005 to 91.4 per 100,000 men in 2015. Broken down by race, black men went from 102.4 per 100,000 men deaths from heart disease in 2005, down to 93.4 in 2015. For white men, the number fell from 97.6 per 100,000 men to 90.7. Despite this progress, men in Tennessee live on average five years less than women in the state, and are below many national health benchmarks measured in the latest report card. 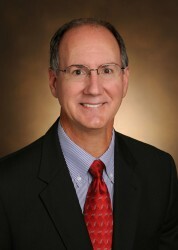 “The goal of the 2017 Tennessee Men’s Health Report Card is to monitor the health and well-being of men in Tennessee and to inform strategies to improve the health of men in the state,” said Derek Griffith, associate professor of medicine, health and society and director of the Center for Research on Men’s Health at Vanderbilt University, who led the report. The 2017 Tennessee Men’s Health Report Card was released June 14. It’s the fourth such report. Previous report cards were issued in 2010, 2012 and 2014. The 2017 version is based on data from 2015, the most recent available. Vanderbilt University partnered with Meharry Medical College, Vanderbilt University Medical Center, the Tennessee Men’s Health Network and the Tennessee Department of Health on the project. 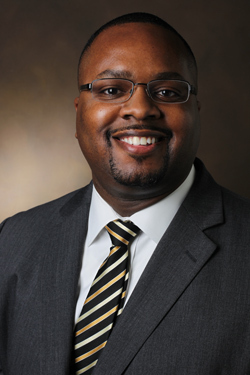 “The 2017 Tennessee Men’s Health Report Card reinforces the need to establish a comprehensive approach that incorporates medical assessment, social determinants of health, behavioral modification and policy changes in order to optimize health outcomes,” said Kevin L. Billups, executive director of men’s health at Meharry Medical College. June marks Men’s Health Month, which is dedicated to heightening the awareness of preventable health problems and to encourage early detection and treatment of disease among men and boys, according to Mike Leventhal, executive director of the Tennessee Men’s Health Network, which serves boys and men in Tennessee with special attention to those males who have low income in the urban, rural and other underserved communities within the state. “Releasing this informative report during Men’s Health Month places a spotlight on the latest findings regarding the health of Tennessee males. In addition, it gives us another messaging tool to use during our statewide men’s health promotion,” he said. There wasn’t enough data about Hispanic men to include that group in the study. Heart disease remains the leading killer of Tennessee men, named as the cause of death 25.1 percent of the time. In second place is cancer, at 23.2 percent. The only age group that contradicts this is young men (18-34), who die mostly because of accidents (including accidental drug overdoses but not motor vehicle accidents) at 21.6 percent. The next most common causes are suicide (16.9 percent) and motor vehicle accidents (16.3 percent). There is a larger gap in life expectancy between men and women in West Tennessee than is found in East and Middle Tennessee, and men in West Tennessee have a shorter life expectancy than men in East and Middle Tennessee. Tennessee men were less likely to have a personal health provider (71.2 percent) than is recommended by the Centers for Disease Control in its Healthy People 2020 recommendations. Men are more likely to say they are unable to procure health care because of the cost (14.8 percent). They also did not meet Healthy People 2020 goals for hypertension, wearing seatbelts, tobacco use and obesity. Substantial earnings gaps are apparent between black and white men. Black men earned a median $32,751 per year, compared to $43,951 for white men. 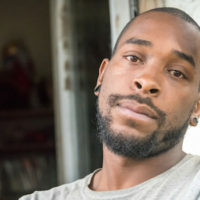 Black men had a significantly higher incidence than white men of diabetes, AIDS and cancer, and more black men than white were hampered by poverty. Efforts to curb smoking appear to be working, with 22.8 percent of Tennessee men reporting that they smoke in 2015, but there is still a long way to go. The goal set by Healthy People 2020 is to get smokers down to 12 percent of the population. Health providers may use the 2017 Tennessee Men’s Health Report Card data by age and grand division to help structure discussions with patients about the risk factors for a variety of conditions and the types of stress that may be relevant to how old they are and the environment where they live. Health educators can use the data for adapting messaging and materials to provide more health education, motivation and support not only in the clinical setting but also in schools and colleges. The Center for Research on Men’s Health at Vanderbilt is a university-wide center that focuses on men’s health and men’s health disparities. Founded in 2016, the center seeks to improve men’s health by understanding and addressing biological, psychological and social factors that influence men’s health. TweetThere's good and bad news in the new Tennessee Men's Health Report Card.